Even if you love a wedding, you may not know where to begin when planning your own, and let’s be real: the dress is the centerpiece of all centerpieces on that big day. We caught up with Seattle designer/bridal gown expert Luly Yang and asked a few questions about starting the quest for the perfect wedding gown. 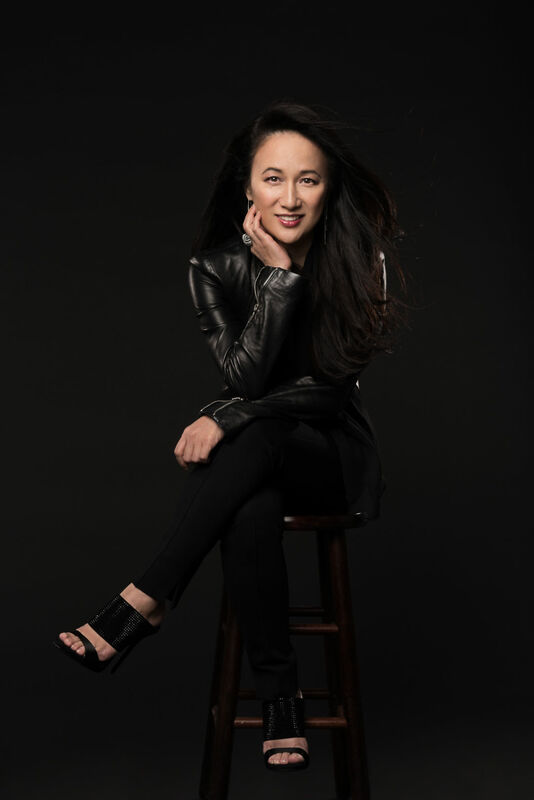 From graphic designer to Seattle sensation, Luly Yang began designing couture, custom gowns, evening and formal wear in 1999 after the success of her much-loved Monarch Dress. How can a bride best prepare for gown shopping? First, it is best to make an appointment. 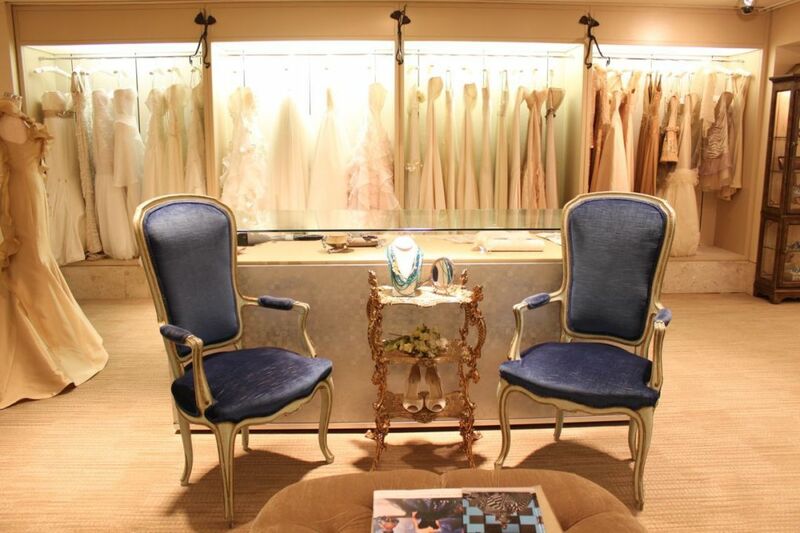 Most places require it for a consultation, and be prepared to try on dresses. Do bring any details to share that you’ve already confirmed—the venue, color story, location, mood, any gown photos or accessories that inspire you that you like. A good consultant will take these into consideration when assisting you with choosing a gown; you may be asked about your personal style and wishes. Bring magazine tears for inspiration and be ready to discuss anything you’ve tried on before. What are the most important things to look for in terms of construction when purchasing a gown? The most important things in terms of fabric are seasonal and your venue—you want to be comfortable. Temperature is so important, so the environment at the venue is important information. You will need a date to get the right gown—you don’t want to be too hot or too cold on your big day. As far as construction, notice how the dress feels on the body, how it drapes and hugs or reveals. Does it feel comfortable and fluid or do you like the feel of a more supportive bodice with structure. Good construction on a gown are made with care, patterns, lace, beading, appliques are hand applied by artisans. These are all technicalities that a consultant can share with you as you search for your gown or creating a custom gown. What’s your advice on getting the size and fit just right? Going in knowing that almost every gown will need alterations except for couture or custom made to measure gowns. A special order of a closest size is the standard (and if you’re in between sizes, it’s always better to go larger so a seamstress can alter it to fit you). Once it’s accurately fitted, you want to make sure the torso fits snug, especially if it’s strapless, but not so tight that is damages the integrity of the seams or zipper. Fit is so important because you want to feel beautiful and confident without thinking of your gown once you put it on. It is important to be able to move. For example, it is difficult to sit or walk up the stairs if a gown is too tight in the low hips, it will stress the seam and you’ll risk wrinkling [the fabric]. What looks are Seattle brides loving right now? What about bridesmaids? We are seeing a real shift towards more sheath gowns, with more fluid movement. One of our biggest requests right now is the illusion netting with lace applique, cutout’s as well as off-shoulder gowns. We will also see more of of high-low hems (shorter in the front and has a train in the back). Bridesmaids are continuing to evolve and we see a real push towards individuality—each maid can be different but in the same color family. For example, different shades of blue or each dress is constructed a little differently. It’s visually more interesting and more fun for the bridesmaids. Any tips on saving versus splurging? 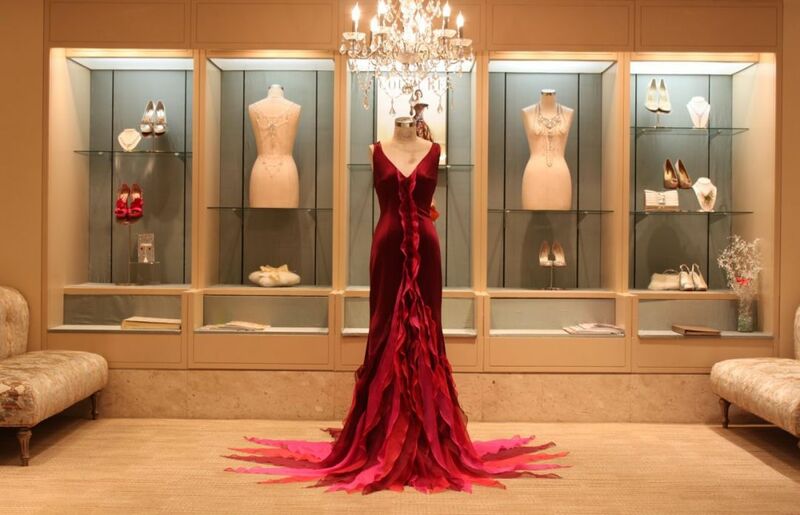 Is it better to splurge on a custom couture gown; maybe save on shoes and then splurge on jewelry? This is different for every bride. If you want a “dream one of a kind gown,” then couture custom will be high on your list and might choose to save on other areas of your wedding. If you choose to special order or purchase a discounted sample gown then investing in a good fitter and alterations is important. If you do order a dress that you want to redesign, keep in mind, it can end up costing more than a custom gown if you have more then a couple minimal changes to make. Some brides splurge on the jewelry—the veil may be high on the list. If you’re a shoe lover, then invest in your dream shoes and build your look around it. It all really depends on the bride’s personality. Yang is well know for her bridal looks, but also has evening and formal wear available (requesting someone please wear this and send me a picture, it is absolutely divine). Refined, calm, elegant bridal shopping in downtown Seattle. Because if you're embarking on something stressful, there better be periwinkle velvet and champagne involved. The Luly Yang atelier is at 1218 Fourth Avenue, open Tuesday - Saturday, 10am-6pm and by appointment (206-623-8200).